All OzShut® Roller Shutters are custom made in Malaga W.A. at our massive 1200sqm production facilty & warehouse, then professionally installed by our team of qualified technicians. The OzShut warehouse is always kept fully stocked with all Roller Shutter components & an ample supply of all standard curtain colours. This is why we lead the Roller Shutter industry with our super fast and efficient service, offering you installation in as little as 5 working days from your order. 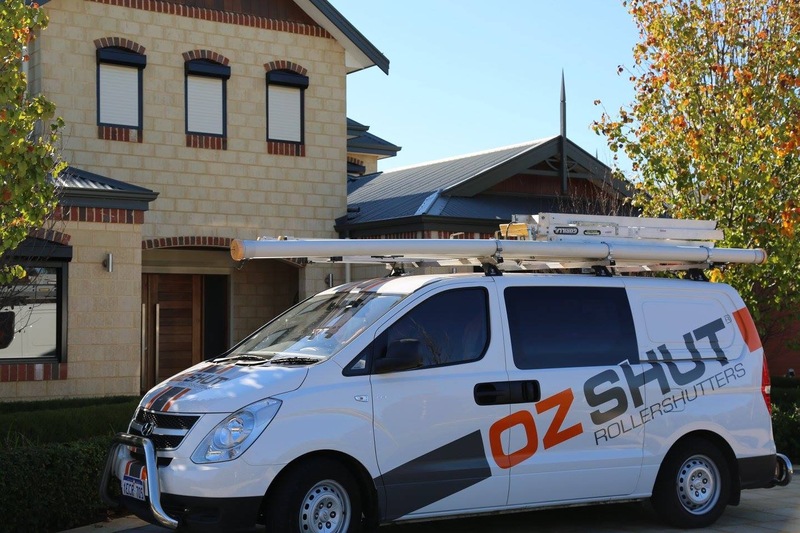 With no wait time on interstate or overseas deliveries, our team can produce and install hundreds of Roller Shutters weekly. Upon your order being placed and verified to the office by your OzShut® Representative an installation date will be booked. Remember this is an estimated date and our production crew work tirelessly to this date for your complete satisfaction. Once your order has been confirmed, a second check measure is conducted. This is to ensure all measurements are correct and the right equipment is needed to complete the job. After the check measure has been completed, a confirmation call is placed re-confirming your install date along with a time and the name of the tradesperson who will be installing your Roller Shutters. Most installations are completed in one day to eliminate inconvenience to our clients or time away from work. For electric Roller Shutters, we make every effort to try and do same day connections, but this is not always possible due to the popularity of electric options or in the case of bad weather. It can take up to 5 working days before they are connected. Q: How soon can you install my Roller Shutters? A: OzShut® can install your custom made Roller Shutters in as quick as 5 working days. Our 1200m2 production facility is fully stocked and produces and installs hundreds of Roller Shutters weekly. For urgent installs, please discuss directly with your OzShut® Representative at your scheduled appointment time. Q: I have ordered electric Roller Shutters. Will they get connected the same day they are installed? A: We do try our best, but unfortunately this is not always possible. Electric versions are very popular and our licensed electricians do all the connections with quality of workmanship in mind and can get extremely busy. Bad weather can also cause delays. Usually the electrics are done within 5 days following installation. If it has been more than 5 working days since install please call us immediately on 13 20 68. Q: I have placed an order but not heard anything? A: It is normal to expect that custom made products can take 4-6 weeks. Not with OzShut®! You may find that we have already check measured your windows! Of course where access is required we would obtain your permission first to conduct any check measure. Please call 13 20 68 if you are not sure. Q: I have chosen a special colour for my pelmet box and guides. Why do these take longer to get installed? A: Special or non-standard colours require powder coating and take longer to prepare due to the powder coating process. This can take an extra 4-5 days. A date will be given when the order is placed by Head Office. We do our best to work to this date. A: When the order is placed a minimum 20% production deposit is required. This can be made by cash, cheque and credit card (Visa, Mastercard, Amex, Diners and no credit card surcharges!). Unfortunately we do not accept payment by EFT. Don’t forget our EZISHUT “pay by the month” programme provided by Certegy. Ask your OzShut® Representative for more details. Balance of payment is due to the installer once the installation has been completed. Payment again can be made as stated previously. An official receipt will then be issued along with a copy of the guarantee. We would also ask you kindly sign our “satisfaction guarantee” card. This way we know you are happy! Q: While I am waiting for the electrician to connect my Roller Shutters, can they be left down? A: No. The Roller Shutters are tested when installed and the up and down limits are set by the installer. Due to the testing and wiring procedure they can only be left in the UP/OPEN position.